Canon’s 7D Mark 2 is in my opinion and at the time of writing, the best APS-C crop-sensor dslr for wildlife, to come from this manufacturer. The camera is extremely well-featured, so much so that it competes strongly with cameras that are higher up in the Canon range. The price of the 7D Mark 2 is also a strong point, with the camera typically selling new for less than USD 2000. With headline features that include powerful autofocus, 10 frames per sec, 20 megapixels, deep buffer and tough build, the specifications are similar to what was only available before in Canon’s 1D series. So the camera represents fantastic value. Interestingly, the 7D Mark 2 can be bought for about the same money, as what the now-discontinued Canon 1D Mark 4 bodies are selling for on the second-hand market. The 1D Mark 4 is, of course, an older camera, but from December 2009 until the arrival of the 1DX in 2012, it was Canon’s best sport and wildlife camera. It was a very popular 1D model and there are a good number still in use. As an owner of both of these bodies, I thought it might be interesting to compare them, from a wildlife photographers point of view. Both of these cameras are built to Canon’s highest standards of weather-sealing. 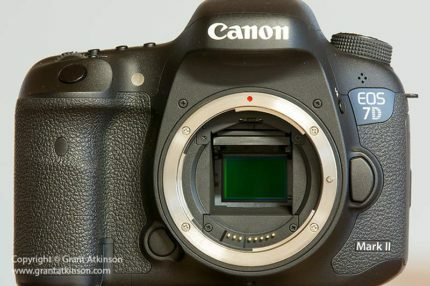 Canon have claimed 1D levels of weather-sealing for the 7D Mark 2. The 7D Mark 2 has the circular groove for enhanced sealing that goes around the lens mount, and aligns with the rubber weather-sealing rings found on mounts on L-series lenses. That feature is shared only with the 1D series. In terms of the chassis design, the 1D Mark 4 has no built-in flash, and it has no external mode dial, which, to my mind, makes it the more rugged camera when it comes to taking the bumps and knocks that come with hard use. I would also think, that with fewer openings and ports in its body, that it may hold an advantage at keeping out dust and moisture. At the same time, in extended experience with both cameras, I have found that the 7D Mark 2 sensor stays the cleanest of any of my Canon dslrs, ever. 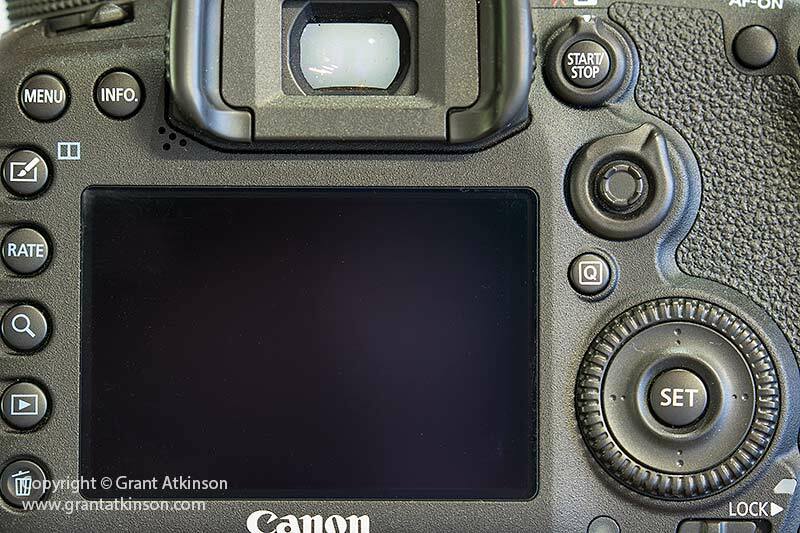 The 7D Mark 2 has also not gotten any dirt on the autofocus screen so far. 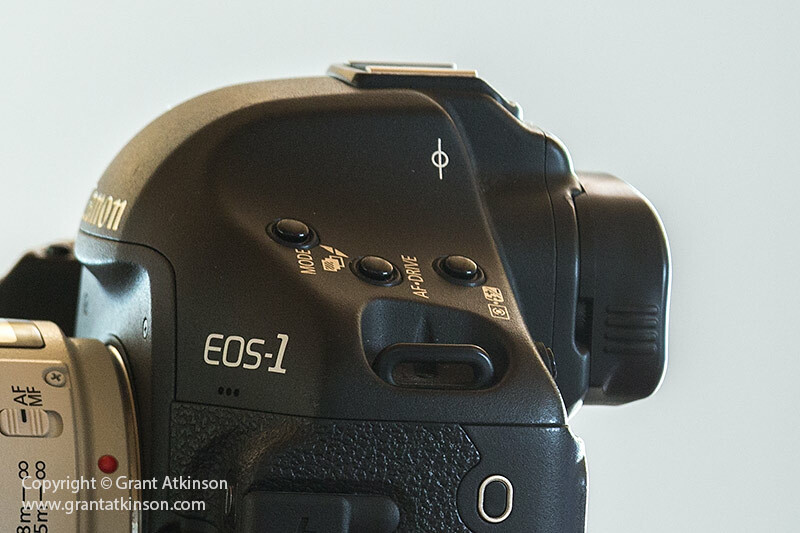 The 1D Mark 4 only rarely picks up debris on the autofocus screen, which shows in the viewfinder but not the image. It occasionally gets dust sticking to the sensor that I can usually blow off with a rubber hand blower. 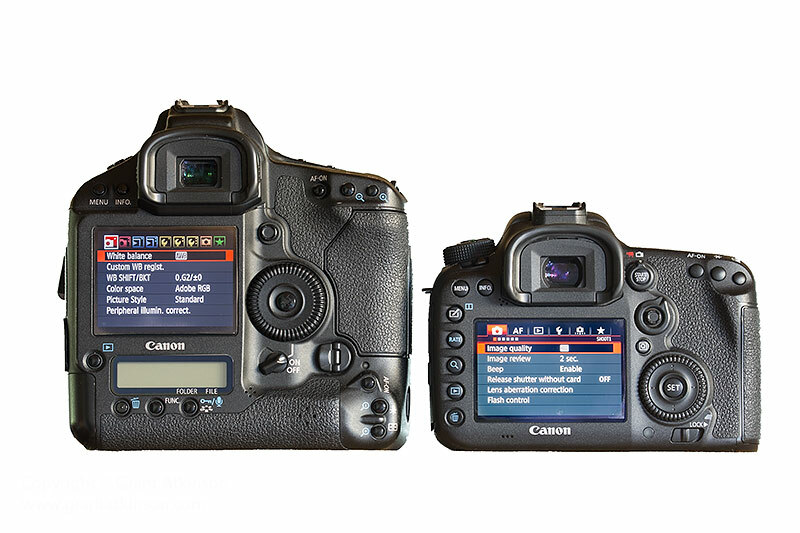 The 7D Mark 2 has Canon’s locking mode dial on top, with three Custom modes to store favourite user settings. The 1D Mark 4 has a mode button, also with three Custom modes. Menu and Info buttons are located on the top left of both bodies. The Playback and Delete buttons are similar in where they are positioned. 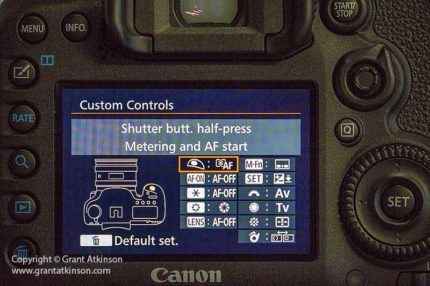 The AF-On and *(Star) and Autofocus buttons are all identical in placement, as is the large Rear Command Dial and the AF Multi-controller. A niggle for me, is that on the 1D Mark 4, the * (Star) button cannot be switched off or re-assigned, and I sometimes press it accidentally, which then puts my camera into a locked-exposure mode. On the 7D Mark 2, I can give the button no function or make it something useful. The 7D Mark 2 has an efficient switch just for Live View and video recording, easy to reach when you need it but out of the way of the main shooting controls so it doesn’t get bumped. The 1D Mark 4 has no dedicated switch for Live View or video and you have to make use of the Set button. I find it very easy and irritating to accidentally engage Live View whilst I am shooting with the Mark 4. To prevent that I usually end up disabling the Set button and with it, any quick access to Live View or video. Only the 7D Mark 2 has the AF Area Selection lever, enabling instant changes between the focus mode groupings. Only the 7D Mark 2 has a Q-button (Quick control) positioned right of the rear LCD, which brings up most of the important settings on the back screen, and allows easy navigation and selection on-screen. Both cameras have toughened glass LCD screens though the screen on the 7D Mark 2 is a little wider and has more resolution. The two cameras share the same eyepiece. The viewfinder experience is good in both cameras, with both providing full coverage. The 7D Mark 2 viewfinder can be tailored to suit a wide variety of preferences. 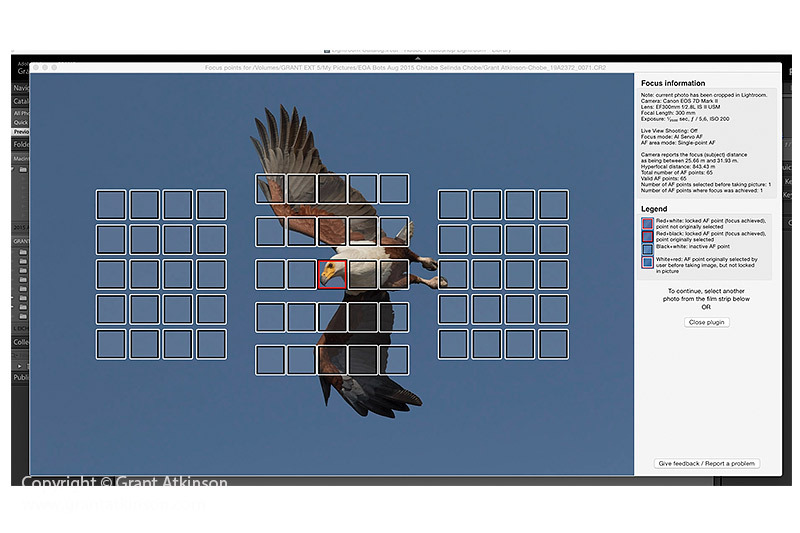 Some options are a grid to aid composition, an electronic level, a variety of indicators for many important camera settings, as well as many different ways of showing the cameras focus points. If you prefer, you can easily minimize what shows by turning off the options you don’t need. The 7D Mark 2 is a little unusual in that there is a compensation scale along the bottom of the viewfinder, with a separate meter aligned vertically on the far right. When you switch to Manual mode and a manually selected iso setting, then only the vertically aligned meter is displayed. Some users have found this problematic. In comparison, the 1D Mark 4 has a bright viewfinder, with its meter also vertically aligned, on the far right of the screen. There is no grid or level indicator and you cannot really change much of what shows or doesn’t. The two cameras are quite similar to one another in the positions of the main shooting controls, those being the shutter release, the main control dial behind the shutter, and the quick control dial on the rear, along with the multi-controller for AF point selection. The 7D Mark 2 enjoys the advantage when it comes to customizing the controls though. Not only does it have many, many more options for re-assigning buttons and controls, it is also super simple and easy to accomplish this, via the clever graphic representation found in its Custom Control menu. On the 1D Mark 4 the options for customising the camera are scattered in different places in the menus and it is time-consuming to locate them. 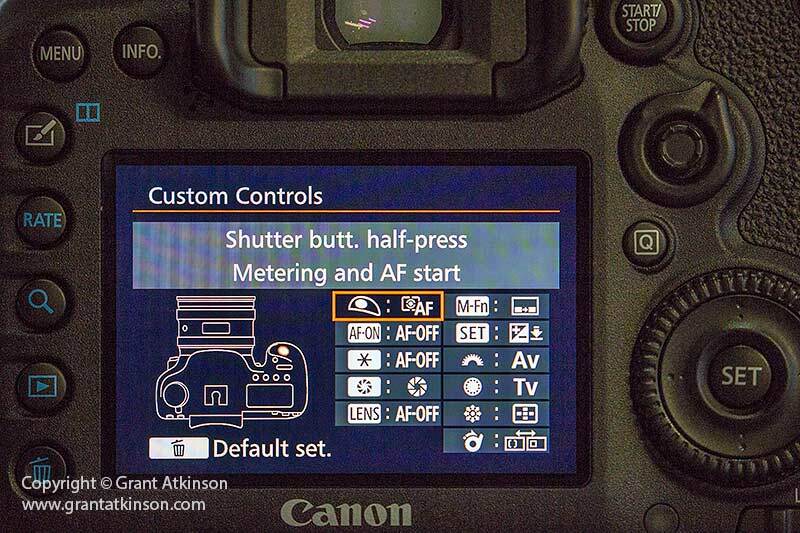 The Custom Control screen, which makes configuring the controls for user preferences easy on the 7D Mark 2. The 7D Mark 2 has the more ‘grippy’ rubber used on newer Canon bodies, covering its magnesium alloy shell. The 7D Mark 2 is a medium-sized dslr, in its standard form whilst the 1D Mark 4 is large-sized. As a ‘pro’ body, the 1D Mark4 has built-in vertical controls. Attach the optional battery grip BG-E16 if you need the added versatility of vertical controls in a 7D Mark 2. The advantage of having the optional battery grip means that you can take it off when you may need the camera to be as light or small as possible. The grip screws into place and feels secure, but is not quite as comfortable in the hand as the 1D Mark 4 integral grip. Of course, you cannot remove that integral grip, so the 1D Mark 4 is always heavy. 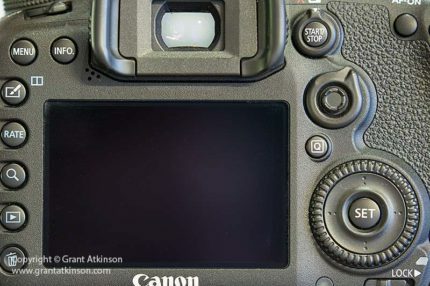 Whether gripped or not, both of these bodies controls are closer together and easier to reach for somebody with smaller hands, than on Canon’s 5Dmk3, 5DSR or 1DX. 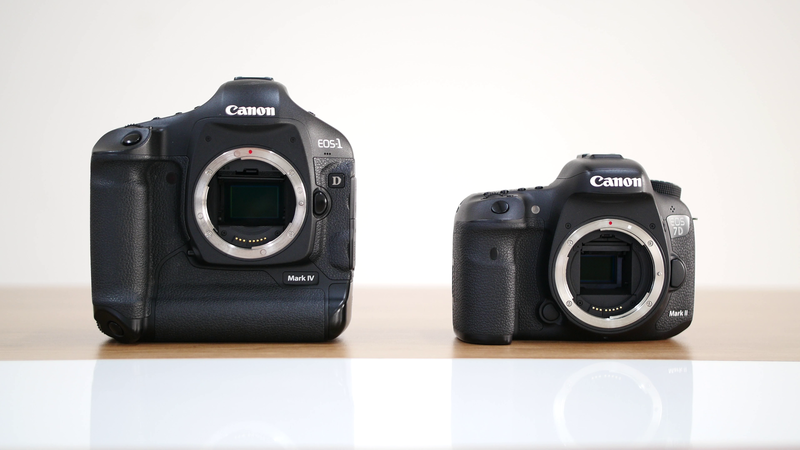 The 7D Mark 2 weighs just 910g with a battery in, compared to the 1D Mark 4 at 1360g. Add the optional battery pack to the 7D Mark 2 and the weight difference disappears. The 7D Mark 2 uses the LP-E6N battery, which gives me at least 1000 shots on a charge. The battery is shared by a number of other Canon dslrs, like the last two iterations of 5D, the 6D, 7D, as well as the 80D, 70D and 60D. The 1D Mark 4 uses the LP-E4 battery, which typically gives me close to 2000 shots on a single charge. The LP-E4 can also power both the 1DX bodies, as well as the 1D Mark 3 and 1DS Mark 3. I shoot raw only, turn off unnecessary processing steps in camera, and spend only a minimal amount of time looking on the back of my cameras when in the field to get those kind of numbers. 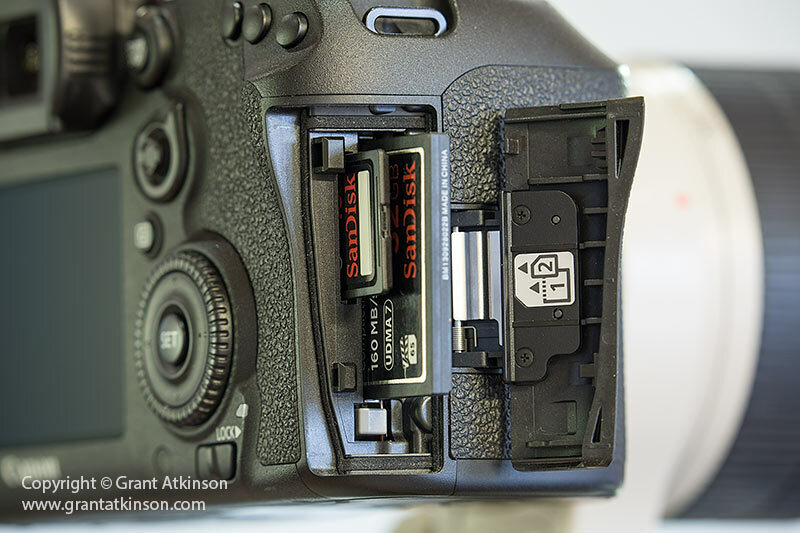 For travel, the smaller size of the 7D Mark 2 batteries is a plus, as is its charger, which is very compact. The 1D Mark 4 has a double charger, which is bulky and heavy. Charging time is a little longer for the 7D Mark 2 batteries, and that big charger for the 1D Mark 4 also allows for a second battery to be loaded up and charged automatically after the first one gets done. 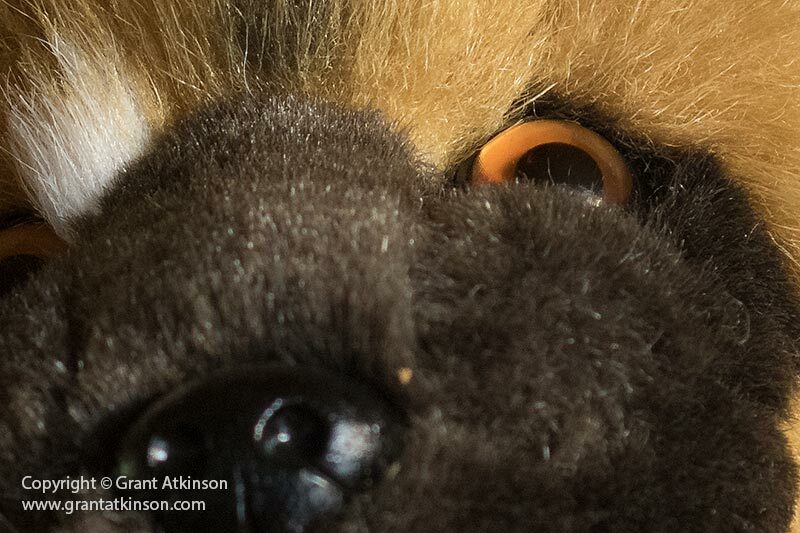 This is a critically important aspect of a wildlife camera for me. The better autofocus systems enable users to keep up with subjects moving at really high speed, and produce multiple sharp shots in sequences. 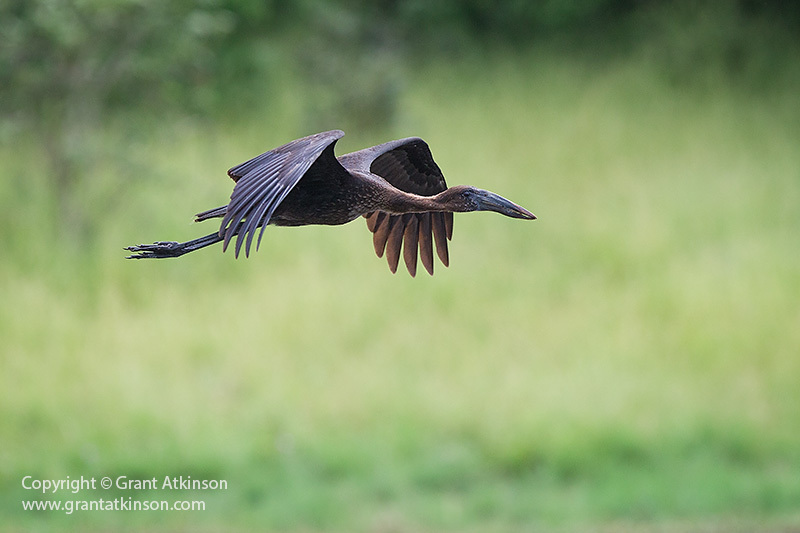 African yellow-billed stork, Chobe River, Botswana. Canon 7D Mark 2 and EF 500L f4 IS ii. Click for larger view. 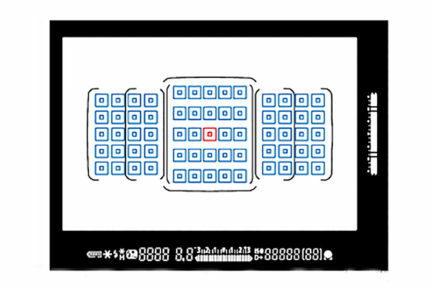 The AF grid consists of 65 points, and all are cross-type sensitive with an f5.6 lens mounted. The centre point functions as a dual-cross type sensor when paired with an f2.8 lens. That same centre point is also rated to work in light levels as low as -3 EV. The 7D Mark 2 also has a very deep set of menu options for configuring and fine-tuning its powerful autofocus system for a users needs or preferences. The 1Dmk4 has an AF grid with 45 points, of which 39 are cross type with an f2.8 lens. Change to an f4 lens, and the centre point remains a high precision cross type while the other 44 points become horizontal line sensitive only. With a f5.6 lens, all 45 points are horizontal-line sensitive only. The 1D Mark 4 autofocus performs well and AF is one of the cameras strengths. Directly comparing the structure of the two AF systems, it is obvious that the 7D Mark 2 has more AF points, and they extend further towards the edge of the frame. Whilst those points that are outermost in the grid are helpful for composition, I don’t expect the same level of accuracy from them as from AF points that are more centrally located. There is less light toward the edges of the frame for AF to work with. 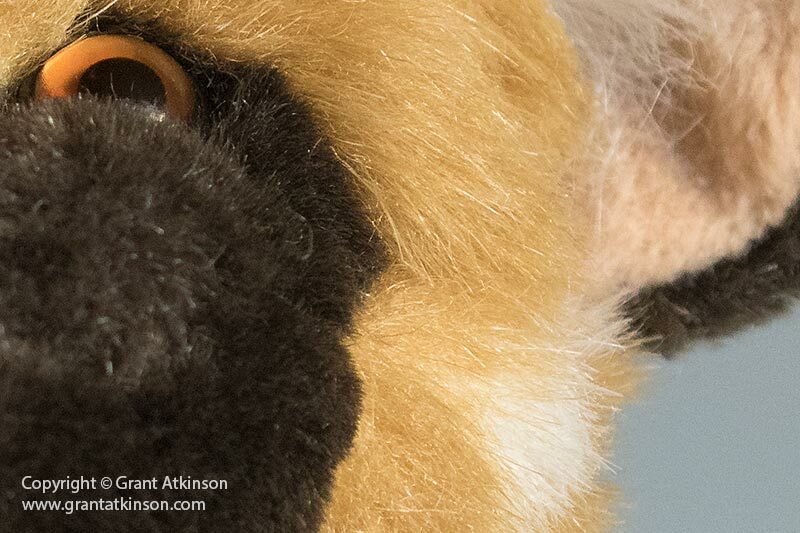 Still, it is nice to have points closer to the edges and the 7D Mark 2 has more of them, further out. 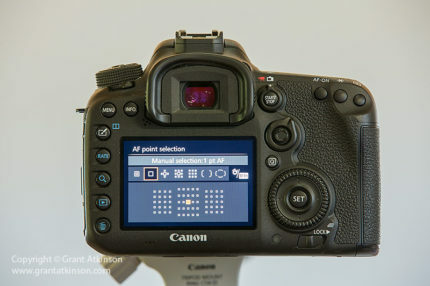 There are a good number of custom functions that allow fine-tuning of the 1D Mark 4 autofocus but they are scattered in different locations throughout the menus. Just some of the parameters that can be adjusted include Tracking Sensitivity, as well as Priority for Focus or Speed (Release). 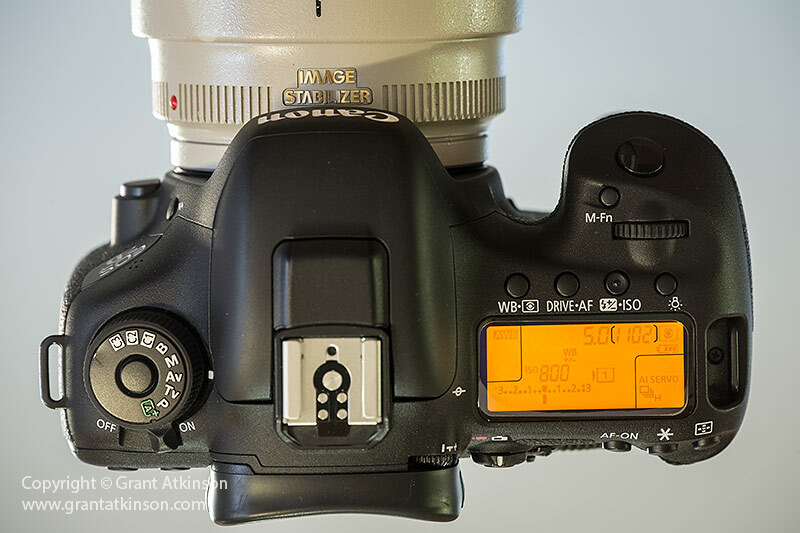 Despite this, it is not as deeply or easily configurable as that of the 7D Mark 2 which benefits from sharing much of its AF system menus with the 5D Mark 3, the 5DSR and 1DX bodies. The 7D Mark 2 also benefits from all of its autofocus controlling parameters being grouped intuitively together making it much easier to find the settings and options. Both cameras have an f2.8 sensitive, ultra-accurate AF point in the centre of the grid. In use the 7D Mark 2 AF is fast and sensitive. I am able to successfully make use of the Single Point AF, Expanded AF Area (1 plus 4 pts) and AF zone for my shooting needs. Switching between these different groupings is as easy as moving the lever that sits atop the AF multi-controller with my thumb, and I have no need to look away from the viewfinder to do it. On the 7D Mark 2, I find that autofocus also doesn’t feel as if it slows much at all, when I shift from using a Single Point to a group. The 7D Mark 2 has more grouping options to choose from, and more ways to fine-tune the performance or customize it to your preferences. 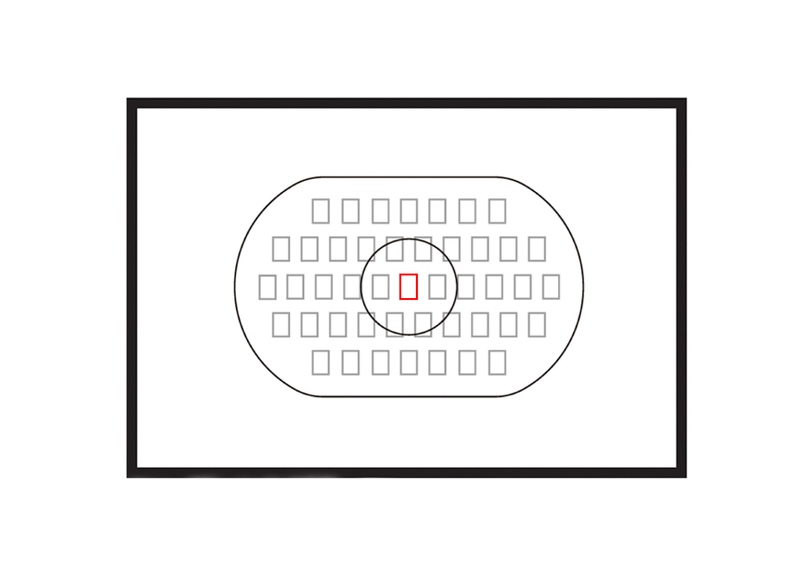 The focus points and AF grid show up in black in the 7D Mark 2 viewfinder, and pulse with a red flash when you move the point around or change the mode. 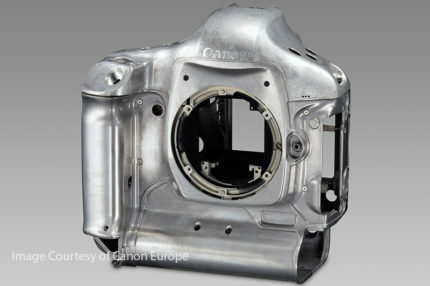 You can also see, at the touch of a button, whether you are in Ai Servo or One shot in the viewfinder of the 7D Mark 2. In comparison, the 1D Mark 4 also has fast and sensitive AF but I invariably get my best results from this camera in Ai Servo focus by keeping it in Single Point AF (manually selected). Anytime I have more than one AF point selected I can feel the focusing slowing down. Of course this is only important for action photography. If you don’t mind the slowdown, then there are other grouping options available but most require a visit to the menu. The 1D Mark 4 limits the user to choosing between one selected point/s and the entire group. Changing this requires going to the camera menu. 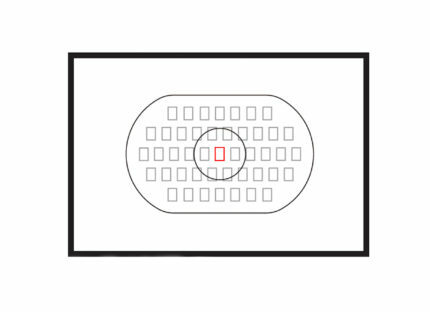 The 1D Mark 4 has its AF grid showing in red inside the viewfinder, and the selected AF point as well, which is easy to see, even in low light or when juxtaposed against a dark subject. Many photographers prefer the red AF points One quirk that I encounter with the 1D Mark 4 autofocus function (not the viewfinder display) is that I would sometimes have difficulty in Ai Servo in getting it to lock onto dark subjects, in low-contrast conditions. 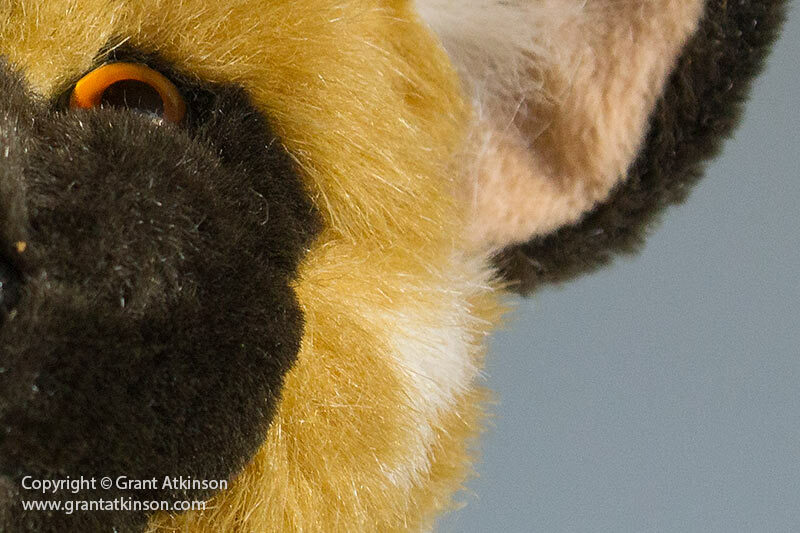 If I am struggling, I just change where I was placing my focus point, or try focus on the edge of the dark animal. The 7D Mark 2 also has its centre focus point rated for greater sensitivity in really low light (-3EV), compared to the 1D Mark 4 (-1EV). Strangely, I did one comparison and found them closer to one another in the near dark than I had expected. I may have to repeat my test in a different way to verify and better understand that. At that stage it was darker than what I shoot in for real usage, and neither of the two cameras got close to the 1DX and 5D3 that I was testing beside them, which goes against the numbers for the 7D Mark 2. In my opinion, the 7D Mark 2 is definitely the superior camera when it comes to the whole autofocus system. It is easier to use, quicker to make changes and can manage a broader range of different scenarios to the photographers advantage. That said, keeping the 1D mark 4 limited to just one point makes it a little harder to keep that point on target, but if you do, it delivers well-focused images. Both of these cameras will autofocus through the viewfinder, when using a Canon lens that has a maximum aperture of f5.6, like the EF 100-400L f4.5-5.6 IS, the EF 100-400L f4.5-5.6 IS ii and the EF 400L f5.6, with a Canon 1.4x Extender mounted. Autofocus will be limited to the centre point only or the central point and four adjacent points. Camera response is something that comes about from how quickly the camera responds to input, particularly when the shutter button is pressed, and also in continuous shooting. You can get some idea of what measurements affect this by looking at the metrics for shutter lag and viewfinder blackout. The 7D Mark 2 has a shutter lag rating of 55 milliseconds, which is identical to the shutter lag on the 1D Mark 4. However, you can adjust the shutter lag on the 1D Mark 4 (C.Fn IV-14) to make it as short as 40 milliseconds (best achieved with lenses shot wide-open or near to it, and with lenses with large maximum apertures). Shortening the lag comes at the possible expense of some stability to the shutter mechanism. Here is what Canon have to say, from the 1D Mark 4 owners manual- “Normally, stabilization control is executed for the shutter-release time lag. This stabilization control can be omitted to make the shutter-release time lag shorter.” I have not chosen to shoot with the shorter lag period myself. Viewfinder blackout is that period, both brief on these two cameras, when the mirror swings up between frames and momentarily blocks the scene from reaching the viewfinder. The 7D Mark 2 has a viewfinder blackout period of 100 milliseconds whereas the 1D Mark 4 is rated for just 80 milliseconds. I rate both cameras as very responsive amongst Canon dslrs, and find it hard to notice any real difference between them in this regard, although the 1D Mark 4 can be made still more responsive. Both cameras are rated to shoot at 10 frames per second, at their maximum frame rate, so they are pretty much equal in this regard. Both cameras have a CF drive and an SD drive, side by side. 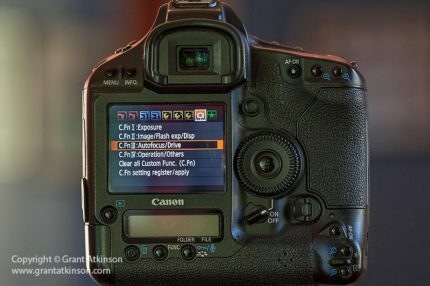 Using the CF drive only and shooting RAW images with all processing turned off, with a Sandisk UDMA 7 card, 160Mb/sec, (32 Gb capacity), the 7D Mark 2 manages to shoot around 30 images in a continuous burst before it slows down to between 2 to 5 images per second. The 1D Mark 4 took 29 images in the same conditions and slowed down to between 2-3 images per second. I shot at iso 800. The iso setting, along with the brightness and structure of the scene will affect how big the file sizes are, and consequently, the buffer capacity. Repeating this test with a Sandisk Extreme Pro SD card, 95 Mb/sec, the 7D Mark 2 captured 29 frames before stopping whilst the 1D Mark 4 managed 27. Whilst the numbers are very close between the two cameras, the 7D Mark 2 holds an advantage in that once the buffer is filled, it clears faster than the 1D Mark 4. This is especially noticeable when shooting to the SD drive only, when it clears in half the time. Both cameras have enough buffer capacity for my shooting style, and I have never hit the limit with either in the field. I shoot RAW images only though and switch off all unnecessary processing. 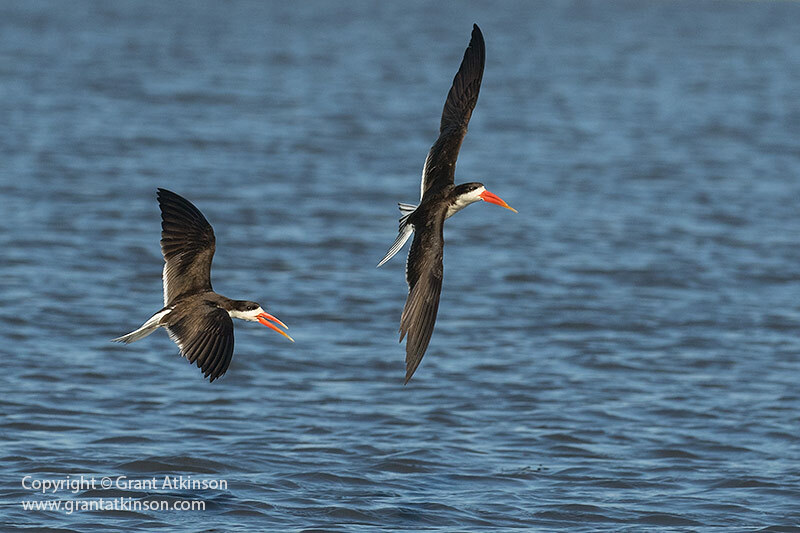 The 7D Mark 2 has a much quieter shutter operation, which is a big advantage for all kinds of photography. Quieter is always better for wildlife. Whilst both cameras have dedicated silent modes on their shutters, the 7D Mark 2 is both quieter and quicker, plus it offers continuous silent shooting at a maximum of 4 fps, whereas the 1D Mark 4 in Silent mode shoots one frame at a time. The shutter mechanism on the 7D Mark 2 is rated for 200 000 cycles compared to 300 000 cycles on the 1D Mark 4. 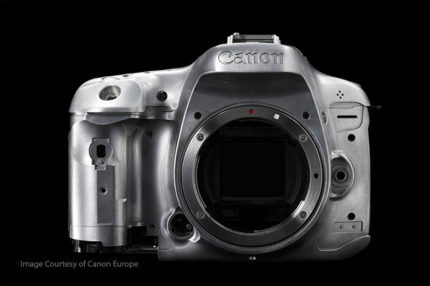 The 7D Mark 2 has an APS-C sized sensor, with dimensions of 22.4 x 15.0 mm. This sensor has a resolution of 20 megapixels. The long side of the sensor is 5472 pixels and the vertical is 3648 pixels. An individual pixel measures 4.1 microns. Making a vertical crop (at the standard 2:3 ratio) delivers a portrait image of 8.9 megapixels, which is usually enough for a print magazine publication. 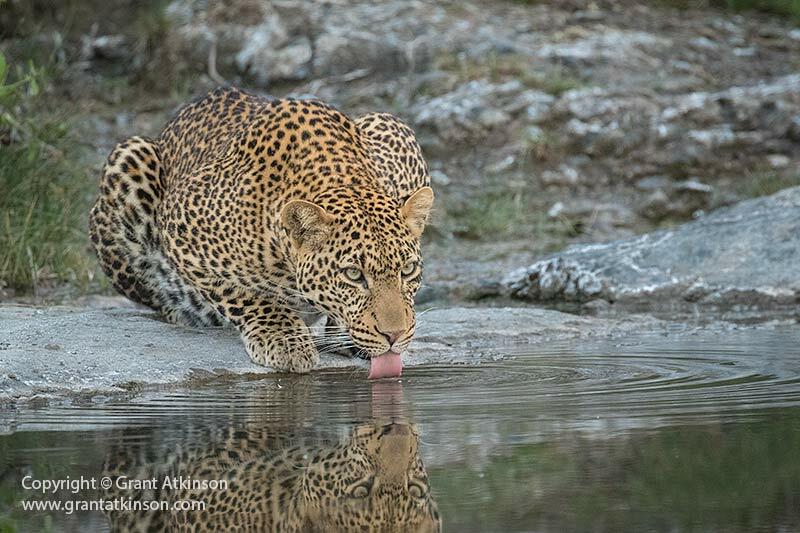 As a wildlife photographer I sometimes end up coming away with a horizontal frame just because I was not quick enough to capture better-framed vertical compositions of my wild subjects. So I find extra resolution helpful in such situations. The 1D Mark 4 has an APS-H sized sensor, with dimensions of 27.9 x 18.6mm. This sensor has a resolution of 16 megapixels. The long side of the sensor is 4896 pixels and the vertical is 3264 pixels. An individual pixel measures 5.7 microns. Making a vertical crop (at the standard 2:3 ratio) delivers a portrait image of 7.1 megapixels. This may be only just enough for vertical format in a print magazine or it may not, depending on the publications standards. Neither of these two cameras have full-frame sensors. Once you attach a lens, the effect of this is a “field-of view crop” of 1.6x on the 7D Mark 2 and 1.3x on the 1D Mark 4, compared to a full frame camera. They don’t physically get you any closer to a distant subject, nor do they change anything that the lens does in terms of its focal length. This is a constant source of debate, and misunderstanding amongst different users. It is clear from looking at these numbers that the 7D Mark 2 has a resolution advantage, both for print (20 mp against 16), and that advantage is obviously maintained in a vertical crop. The 7D Mark 2 sensor is also a generation newer, and it has lower noise levels for the same surface area. However, the 1D Mark 4 has a bigger sensor, and if you are able to frame your subject at the same size with these two cameras (unlike with the two Iso 100 images above), then it holds an image quality advantage. When comparing these cameras output, I always keep in mind that the 7D Mark 2 has a smaller sensor, with less than half the surface area of a full-frame camera. 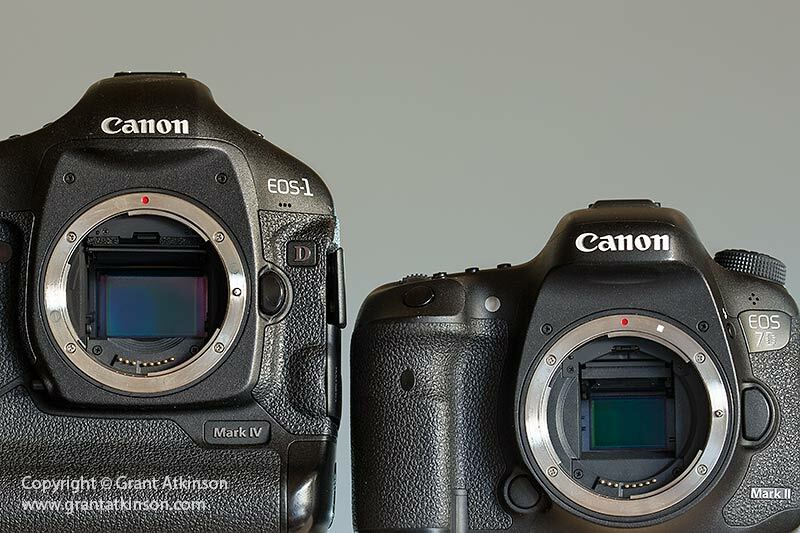 The 1D Mark 4 has an intermediate size sensor, bigger than that of the 7D Mark 2 but smaller than full-frame. At a pixel level, which means viewing an image at a magnification of 1:1, or 100 percent, 1D Mark 4 images have a little more local contrast. At the same time, one needs to account for the fact that viewing at 1:1 means you are looking at a larger image on the 7D Mark 2, so it is a more detailed capture, even though it is from a smaller sensor. 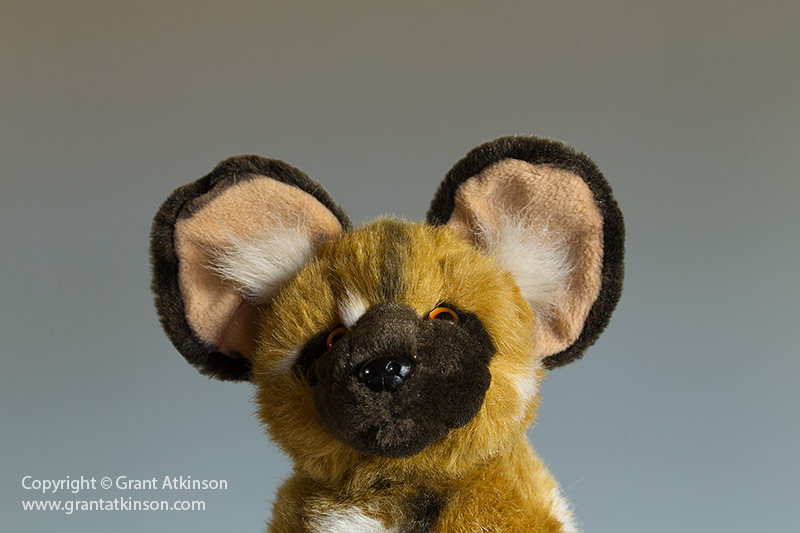 I have posted a series of test images from the two cameras, with the same lens, mount and African wild dog furry toy subject. Between each set of images I increased the iso sensitivity by one stop. Some images are cropped, for comparison and to allow finer inspection of image quality. Each image details are outlined in the caption. I took these images indoors although the light was all natural and indirect. I shot the images within a few minutes of each other, start to finish, but there is a slight difference in shutter speeds between the cameras. I did not try to equalize their brightness afterwards in processing as I was more concerned with comparing noise, and fine detail sharpness. It may have been that the ambient light changed ever so slightly during shooting, or that there is a slight difference in exposure between the two cameras. As always, I shot RAW images, opened in Adobe Camera Raw CC, and applied no noise reduction to any of the images. I did apply an amount of 50, of Sharpening from the Detail panel, to the high-contrast edges of the subject only, and made sure that sharpening was not applied to the background or out of focus areas by means of the Masking slider. This is part of my normal workflow. I did nothing else to the images. 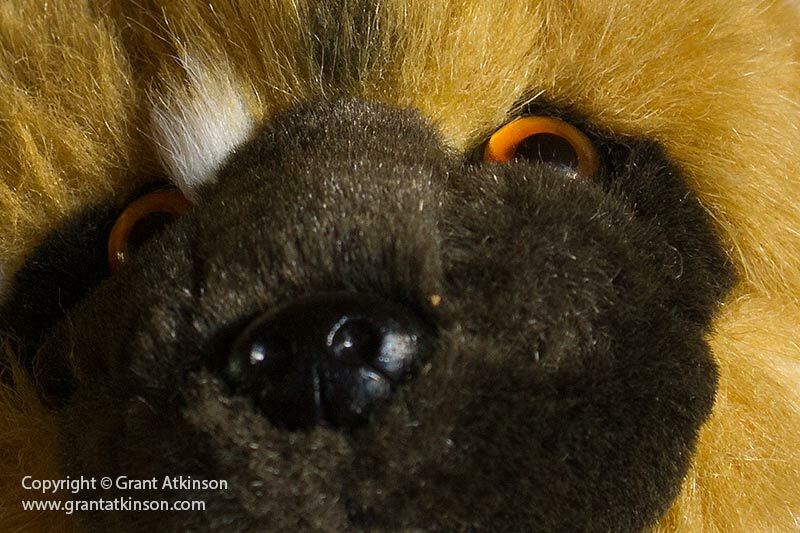 The 7D Mark 2 with its 1.6x field-of-view crop, frames the test subject much more tightly. Canon 7D Mark 2 and EF 100-400 IS ii at 158mm. Shutter speed 0.3 sec at f7.1, iso 200. Downsized from 20 megapixels to 800 pixels long side for web. Click for larger view. Below is the image with the same lens, from the same distance with the 1D Mark 4. 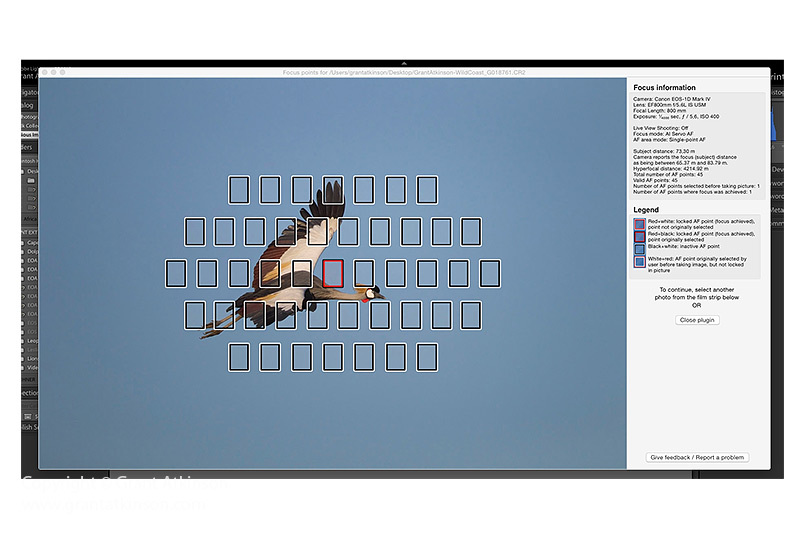 In order to frame the image with an identical subject size with the 1D Mark 4, one has to either use more focal length, (zoom in more or a longer lens), or move physically closer. If you are able to do that, then you are making use of all 27.6mm x 18.6mm of the 1D Mark 4 sensor, and the resultant image quality will be better than the 7D Mark 2 image which was taken with less focal length or from further away. Canon 7D Mark 2 and EF 100-400 IS ii at 158mm. Shutter speed 1/6 sec at f7.1, iso 400. Downsized from 20 megapixels to 800 pixels long side for web. Click for larger view. Canon 1D Mark 4 and EF 100-400 IS ii at 158mm. Shutter speed 1/8 sec at f7.1, iso 400. Cropped from 16 to 10 megapixels, then downsized to 800 pixels long side for web. Click for larger view. For these two iso 400 captures, I have cropped the 1D Mark 4 image until the two subjects were roughly the same size, which meant that I was using the same sensor surface area with both cameras. This meant that the 20 megapixel capture on the 7D Mark 2 had similar subject framing to a cropped 10 megapixel image from the 1D mark 4. Neither of the two cameras show much noise at iso 400 and certainly in the downscaled images at web resolution there is little to choose between them. For print, I would rather have twice the resolution in this instance, and would choose the 7D Mark 2 image without hesitation. Canon 7D Mark 2 and EF 100-400 IS ii at 158mm. Shutter speed 1/13sec at f7.1, iso 800. The frame represents a 100 percent crop, then downsized from 1.2 megapixels to 800 pixels long side for web. Click for larger view. Canon 1D Mark 4 and EF 100-400 IS ii at 158mm. Shutter speed 1/15 sec at f7.1, iso 800. The frame represents a 100 percent crop, then downsized from 1.2 megapixels to 800 pixels long side for web. Click for larger view. For the two iso 800 images, I have cropped the images to approximately 100 percent views, in order to check image quality more closely. Some luminance noise starts to show up, but it is unobtrusive at this stage. You can just make it out on the edge outer edge of the pupil. Even in real-world shooting I am completely happy to use both these cameras at iso 800 anytime without doing any noise reduction. For me, there is not much difference to be seen. Canon 7D Mark 2 and EF 100-400 IS ii at 158mm. Shutter speed 1/25 sec at f7.1, iso 1600. The frame represents a 100 percent crop, then downsized from 1.2 megapixels to 800 pixels long side for web. Click for larger view. Canon 1D Mark 4 and EF 100-400 IS ii at 158mm. Shutter speed 1/30 sec at f7.1, iso 1600. The frame represents a 100 percent crop, then downsized from 1.2 megapixels to 800 pixels long side for web. Click for larger view. For the iso 1600 images I have continued with the 100 percent crop, but shifted it to the side of the test subject, which reveals the low contrast grey background, where it is easier to see noise. Maybe the 1D Mark 4 images are a little cleaner in the grey, but then the 7D Mark 2 image is larger and would benefit some if downscaled to match. Canon 7D Mark 2 and EF 100-400 IS ii at 158mm. Shutter speed 1/50 sec at f7.1, iso 3200. The frame represents a 100 percent crop, then downsized from 1.2 megapixels to 800 pixels long side for web. Click for larger view. Canon 1D Mark 4 and EF 100-400 IS ii at 158mm. Shutter speed 1/60 sec at f7.1, iso 3200. The frame represents a 100 percent crop, then downsized from 1.2 megapixels to 800 pixels long side for web. Click for larger view. For the iso 3200 images I have continued with the 100 percent crop, but shifted it to the side of the test subject, which reveals the low contrast grey background, where it is easier to see noise. Again, there is not too much difference in the noise levels here. Canon 7D Mark 2 and EF 100-400 IS ii at 158mm. Shutter speed 1/100 sec at f7.1, iso 6400. Image downsized from 20 megapixels to 800 pixels long side for web. Click for larger view. Canon 1D Mark 4 and EF 100-400 IS ii at 158mm. Shutter speed 1/125 sec at f7.1, iso 6400. Cropped from 16 to 10 megapixels, then downsized to 800 pixels long side for web. Click for larger view. For these two iso 6400 captures, I have cropped the 1D Mark 4 image until the two subjects were roughly the same size, which meant that I was using the same sensor surface area with both cameras. This meant that the 20 megapixel capture on the 7D Mark 2 had similar subject framing to a cropped 10 megapixel image from the 1D mark 4. Both cameras show quite significant amounts of noise, Neither of the two cameras show much noise at iso 400 and certainly in the downscaled images at web resolution there is little to choose between them. For print, I would rather have twice the resolution in this instance, and would choose the 7D Mark 2 image without hesitation. Finally the iso 12800 images downsized and easily usable for web, even with no noise reduction. Canon 7D Mark 2 and EF 100-400 IS ii at 158mm. Shutter speed 1/200 sec at f7.1, iso 12800. Image downsized from 20 megapixels to 800 pixels long side for web. Click for larger view. Canon 1D Mark 4 and EF 100-400 IS ii at 158mm. Shutter speed 1/250 sec at f7.1, iso 400. Cropped from 16 to 10 megapixels, then downsized to 800 pixels long side for web. Click for larger view. 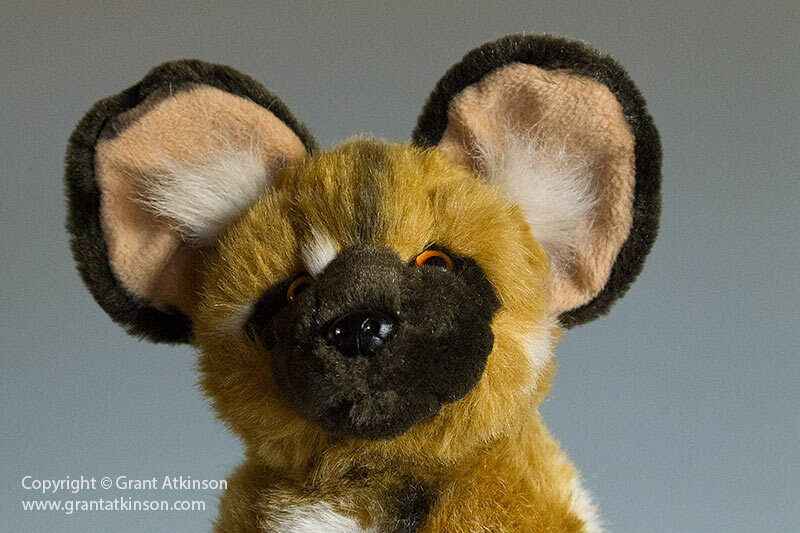 The series of images of the toy test subject serve to show what little difference there in terms of noise and image quality, from the two cameras. The test images, taken of a completely still subject with good contrast and light, from a close distance, and with a perfectly focused, steady camera also show that you can easily use images taken with both cameras at very high iso settings, for the internet. The majority of my real-world shooting is done in natural, ambient light and handholding, often with longer lenses. Often, I may be shooting when ambient light levels are low, and contrast equally low. My preferred iso setting range is from iso 400 to iso 800, from an image quality perspective, with both these cameras. 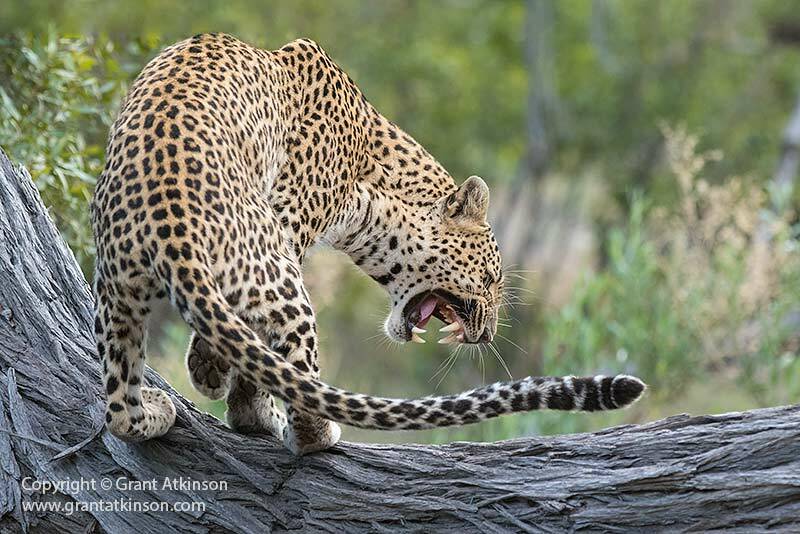 I am quite happy to shoot both cameras all day long at iso 800 if I need to, when I may have need of extra fast shutter speed for fast-moving subjects. 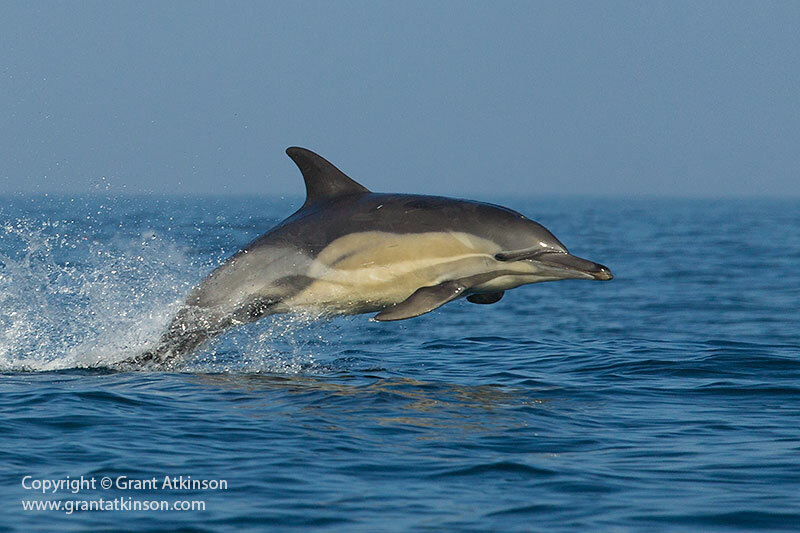 I find iso 800 images are usually clean enough to print without any serious noise reduction work required. On both cameras, going to iso 1600 results in noise becoming more visible in low contrast areas especially, however it is still not too intrusive. 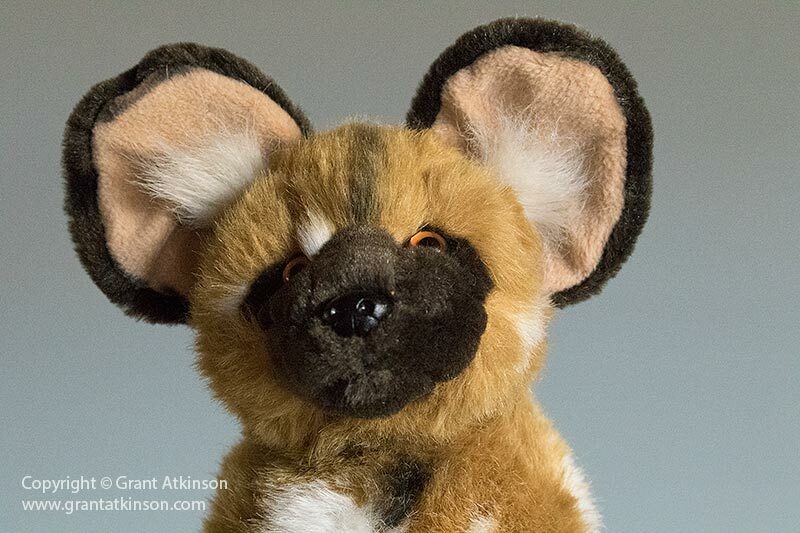 I will usually have to do some noise reduction in the backgrounds of images taken at iso 1600 with both. For most of my outdoor use, iso 3200 is really the highest I will go on both of these cameras. I also believe though, that it will be possible to make prints from higher iso settings, but that would require more serious attention to editing and noise reduction. I find that I need to process the raw files ultra-carefully from both cameras at iso 3200 if I wish to keep some detail and try minimize noise reduction smearing detail away. Real-world images that I have taken at iso settings higher than iso 3200 on both these cameras were only good enough for web usage for me. It is also very important when comparing image quality between these two cameras to consider how much cropping you expect to do. In simplest terms, if you crop away 6 megapixels of the 1D Mark 4 capture, then the 10 megapixel image left would usually have been better off taken with the 7D Mark 2. But, 10 megapixels may enough for your use. If you have to crop deeper, the advantage goes more and more to the 7D Mark 2. If you don’t crop at all, and are able to frame the image identically, with these two cameras (which means you either were physically closer or had more focal length with the 1D Mark 4) then its uncropped, images hold a slight quality advantage. Again, the 7D Mark 2 wins some of that back though, if you downsize the 20 megapixel image to 16 megapixels. 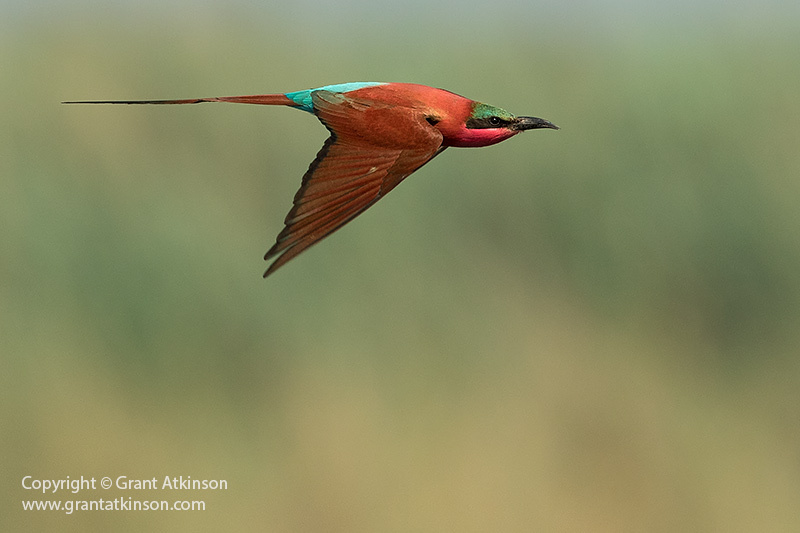 When it comes to photographing high-speed subject matter, like bee-eaters in flight, or cheetah on the charge, I find that I get a higher keeper rate of really sharp images from the 1Dmk4, compared to the 7D Mark 2. I believe this is due to the larger individual pixels of the 1D Mark 4 (5.7 microns) compared to the 7D Mark 2 smaller pixel pitch (4.1 microns). So I am able to get sharp shots of fast-moving subject matter with both the 7D Mark 2, and the 1D Mark 4, but if I have a sequence of sharp shots, I usually get more keepers from the 1D Mark 4, and if that kind of photography is most important to you, then the older 1D Mark 4 might be a better tool for the job. 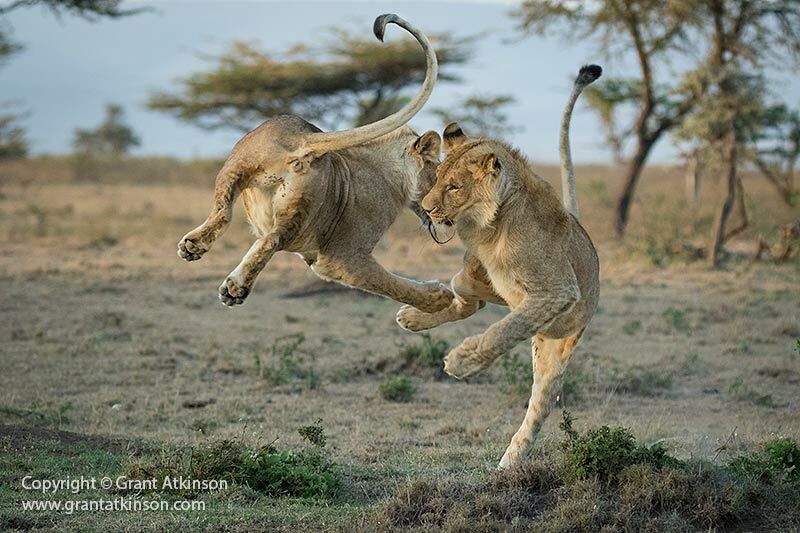 As far as shutter speeds go, I shoot pretty fast speeds when ambient light permits when I am trying to capture action with any camera I am using. My opinion on the reliability of these cameras is based upon owning both of them and using them heavily in my work as a photographic guide and wildlife photographer. I work with groups of wildlife photographers, so I also get to see what happens with other people’s cameras. My wife and I have owned two 1D Mark 4 bodies and taken over 400 000 shots with them, starting in 2010. It has been the most reliable, and niggle-free camera we have ever used. In six years we have had maybe 3 images that corrupted on two different cards, and that was card-related, not the camera. Our 1D Mark 4 bodies have never stopped working, never failed to switch on, and never had momentary blackouts or freezes. We have also never had to take them in for repair or major servicing. We still own and use one. I have only owned one 7D Mark 2 and have used it quite hard for 18 months so far. On two occasions it has frozen, and required me to switch it off, remove the battery and card, and then worked perfect after that. Aside from that I have experienced no niggles with mine. I have also not seen any of these bodies giving trouble in the field, although on the camera’s launch, some folk experienced autofocus hassles. Dual Pixel AF for Live View operation and video capture, and if you use Live View then this is a big advantage over the 1D Mark4, with it’s very slow Live View AF. Flicker mode, which basically times exposures to sync with certain types of artificial light. If you shoot under lights this can be a powerful, time-saving, image-quality enhancing feature. Exposure compensation whilst in Manual mode, and with Auto-Iso engaged. 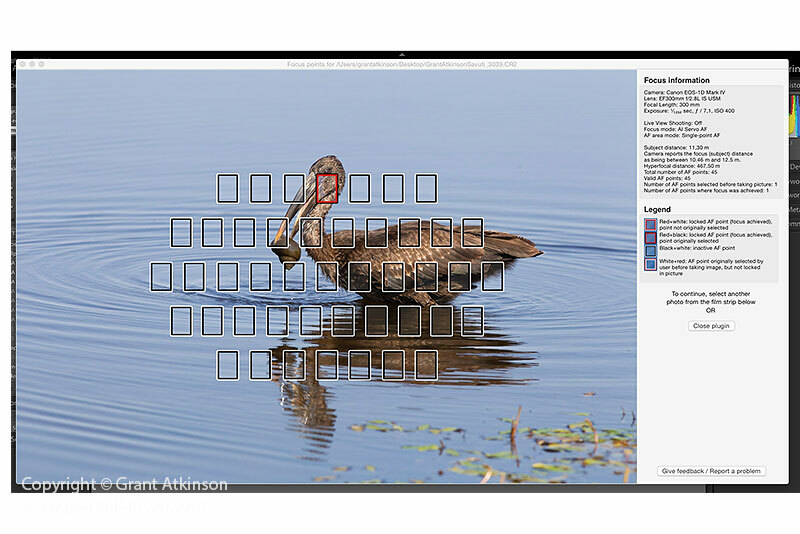 This is a very useful exposure mode for wildlife photography that I use quite a lot. 5 Stops of exposure compensation in the viewfinder, compared to only 3 on the 1D Mark 4. 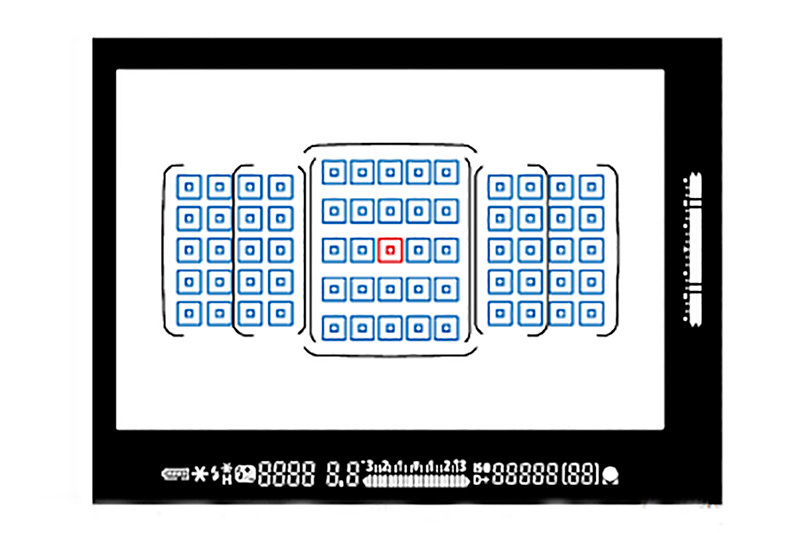 Highly configurable viewfinder with more information displayed. In-camera HDR and Multiple Exposure. Five of the green My Menu custom screens compared to just one on the 1D Mark 4. Use EF-S lenses as well as EF lenses. 1.6x Field Of View crop of lens focal length – consider the potential impact on short focal lengths and long ones. Spot metering is linked to the selected AF point, anywhere in the 45 point grid. Flash sync speed of 1/300sec compared to 1/250sec on the 7D Mark 2. The 7D Mark 2 is a refined, sophisticated and a more practical camera body than the 1D Mark 4. This is significant when I consider that the 7D mark 2 can be bought new, for less than half of what I paid for a new 1D Mark 4 in 2010. 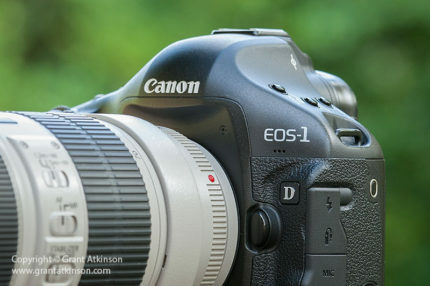 It is indicative of how rapidly and deeply new features have been shifted down Canon’s dslr range, which is a good thing for camera enthusiasts. 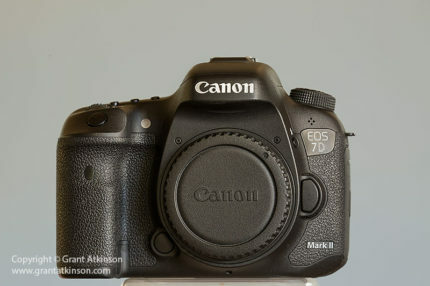 The 7D Mark 2 is smaller and lighter (without a grip), is quieter and less intrusive. It has higher resolution, and if you are limited by distance, may be the better sensor. When it comes to speed, response and capacity, it either matches or exceeds the older camera. The class-leading DPAF Live View makes using live view fun and rewarding. You can also set it up almost any way you want, with deep configuration options for controls, autofocus and viewfinder, as well as menus. The 1D mark 4 is still a very good camera for wildife, despite its age. Although it is outperformed or out-featured by the 7D Mark 2 in many aspects, if you prefer the feel of the 1D series, then there is not much about this camera not to like. It delivers a good viewfinder experience and has autofocus just a little bit less effective than best of the newer cameras. If you can frame to avoid cropping, it enjoys a slight image quality advantage over the smaller-sensored 7D Mark 2. 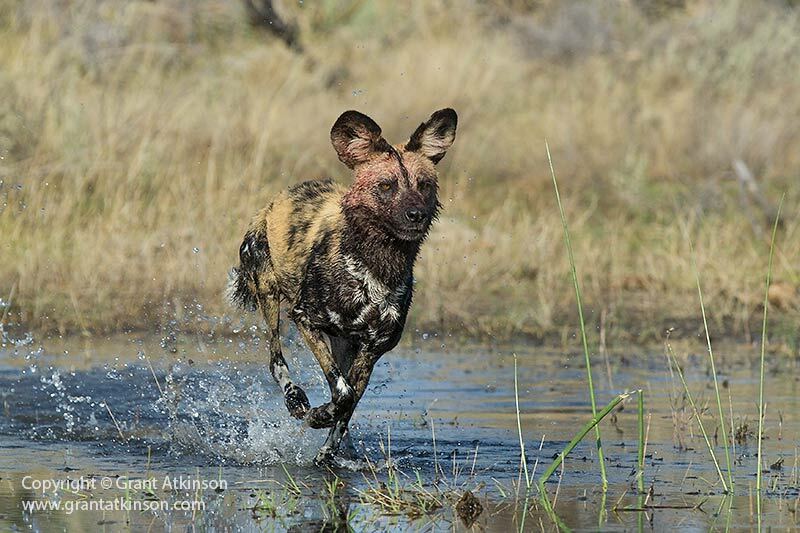 When really fast-moving wildlife is the subject matter, the 1D Mark 4 gives me a higher keeper rate of pixel-level sharp images than the small pixel-pitch 7D Mark 2. The 7D Mark 2 is just too good at too many things to not be the better overall camera of the two. However, I do think that wildlife photographers in general are the winners, given the features and capabilities of dslr cameras like these two, and what you have to pay now to get them, compared to a few years ago. 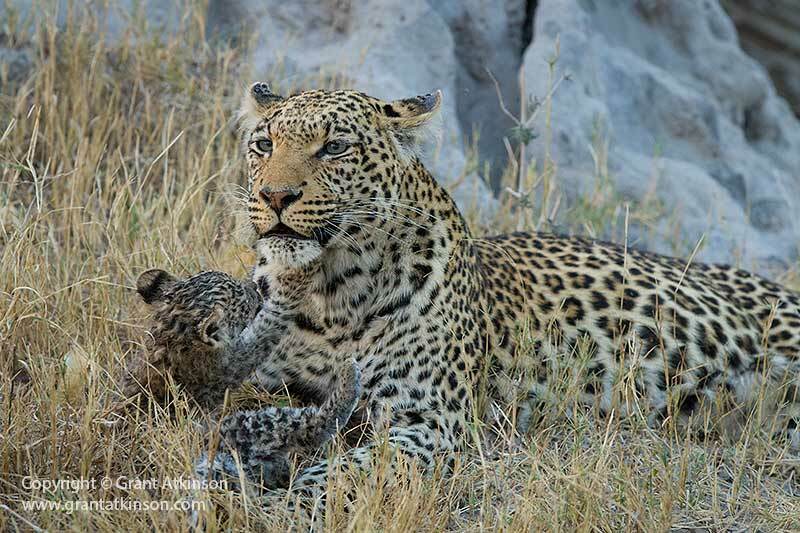 Both of these cameras are highly capable wildlife photography tools, and the single biggest difference between them and more expensive cameras like the 1DX, 1DX Mark 2, the 5D Mark 3, and the 5DSR are the added low-light capability that comes with full-frame sensors. 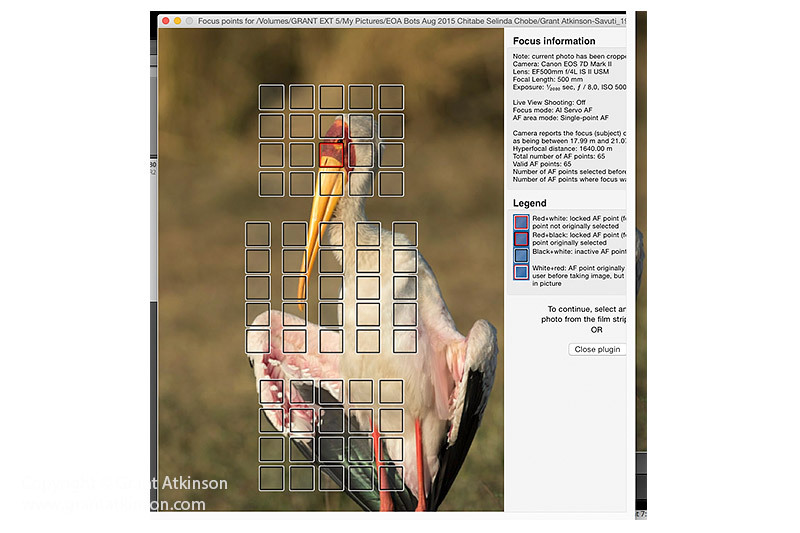 Spot focus is linked to the selected AF point, anywhere in the 45 point grid. Hi Grant, This is a very interesting article and as usual with you, detailed and comprehensive. I agree that it’s good to see technology from higher costing models of a few years ago cascading down into more affordable cameras pitched at the average consumer/enthusiast. Your explanation of the size of the pixels on the sensor (microns) and the extract from Canon Europe as to how that affects AF and shutter speeds go a long way to help me understand why, when using my 7DII I sometimes get relatively fewer keepers in a burst of images. Flipping excellent and down to earth practical and clean review – thanks for taking the time to do this. What do you mean by ” I shoot RAW images only though and switch off all unnecessary processing.” with specific reference to switching off all necessary processing (in my case a d1 mk4) – I would be grateful if you could please advise so I can check that there is nothing switched on that could possibly slow things down. Also, I have heard and read that the Image stabilizer mode on a lens (in my case a sigma 150-600 sport version) could for all practical reasons be switched off and will increase focus response time slightly (I generally shoot with a sandbag or some form of stabilization) – do you agree with this? Sorry for my late response here, I am in the busiest part of my season and internet access and time a bit limited. With all my Canon cameras, if I am shooting RAW images, I switch off things like Chromatic Aberration, Peripheral Illumination, as well as all forms of in-camera noise reduction. I also disable Auto Lighting Optimizer which only affects jpgs, and Highlight Tone Priority. Some Canon cameras have more of these options that others. I am not as familiar with the image stabilizer systems in Sigma lenses as I am with those in Canon lenses. That said, I dont switch off IS at all when I am in the field, whether I am shooting from a beanbag nor if my shutter speed is very high. I have read that for Canon IS systems, the IS system can even help with shutter induced shock in the camera. So i leave mine on and I am happy with the results. I have also not really noticed a focus slowdown when using IS on modern lenses. Great review as usual. I think you will find that the PRIME Noise removal of DxO Optics Pro will give you an additional stop, maybe more of usable ISO room with your cameras and lenses. Give it a try ..you can download a free trial. The 7Dii+100-400ii is a great combo and I find it works well, even for smaller song birds if I can get a little closer. 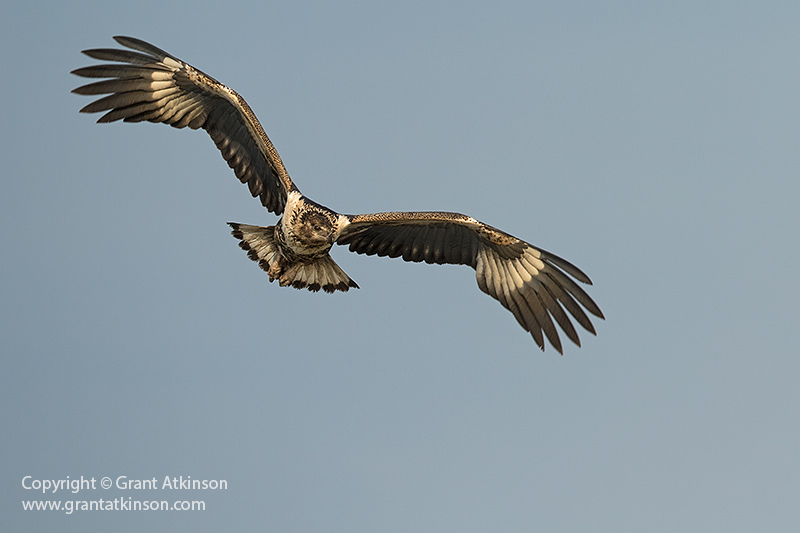 The sigma 150-600mm contemporary gives me more reach and is still very portable so I use it when I need too. Its another game-changer. Your blog posts are highly informative and images incredible! I have just purchased a 7d mk11 as my IDMk1v had a broken mirror mechanism which has now been fixed by Canon.I will be selling this now as i feel its a bit dated. I was a bit worried about buying the 7d mk 11 as I had a 7d before the ID MK1V and hated it as it was so noisy! I have followed your online tutorials and now seem to be getting the best from the 7D mk 11 and I think the Image quality and noise control are on par with the IDMK1V.It took a bit of getting used to but now very pleased with the results. What camera would you take it to the arena? 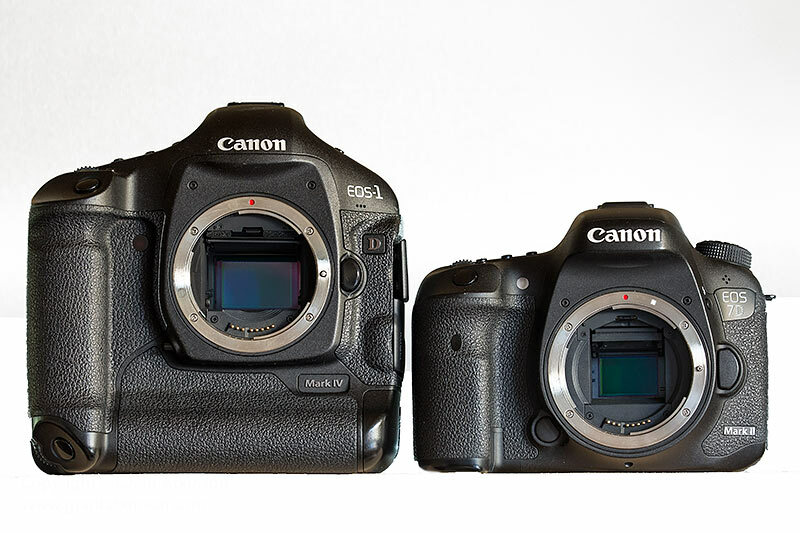 7D II or 1D IV? 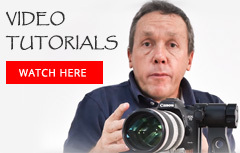 Hi Grant, i really liked the review you did on both the DSLRs, i thought that it was very informative. However i still can’t decide which camera should i get. I tend to shoot wildlife and macro, which camera should i get? Fantastic read. I also own both cameras, although I have only just got the 7D II. I am busy trying to decide which one to use as my main camera for a wedding (my main interest is sport but I occasionally succumb to the requests of friends). It is at least a comfort to me that you seem to find that both cameras have their own advantages, although I am leaning more towards the 1D IV as my main (I am also much more familiar with it at this stage). 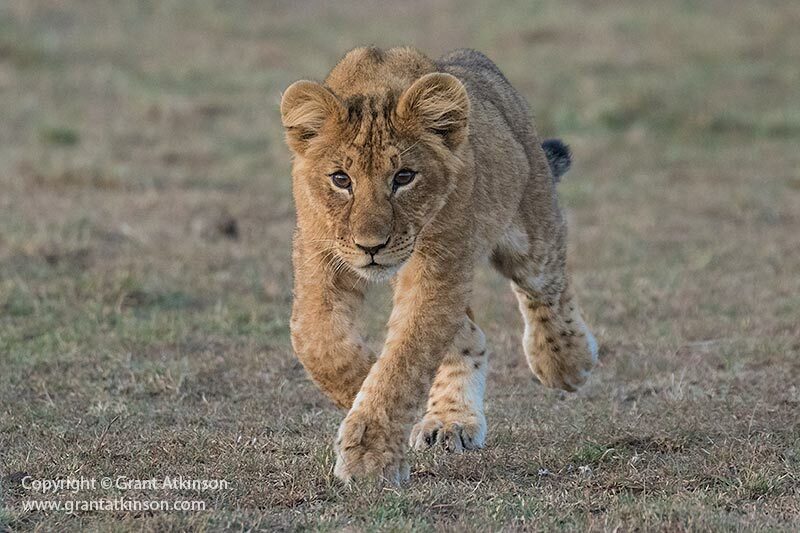 Love the wildlife photos. Hey Grant, awesome review, I just purchased a 1dmkiv to pair with my two 5dmkiii, I shoot a lot of weddings and wanted the framerate, and also the low light performance and the fact the sensor is 1.3x crop, should sit nicely with my 5d. I don’t really do many wildlife or animal shooting, my main area is event and wedding, so id be most interred know if you have ever used the 17-40mm on the 1d and how good it. I have not used that lens for events or weddings, but I did own the EF 17-40 for some time and I used it a fair bit on my 1DMk4. I found it to focus nice and fast, and I also found that i barely had to consider vignetting with the narrower field of view. Also found image quality to be quite good specially if I was able to stop down a few stops. 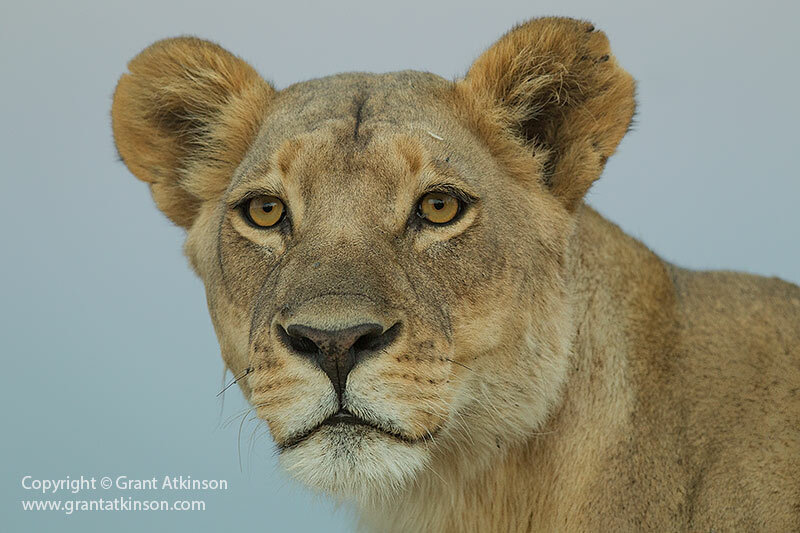 For most of my wildlife images, so long as the lenses deliver sharp results in the central part of the frame, i am less concerned with the edges of frame image quality. Overall I was happy with the 17-40 and only changed to the 16-35 f4 because of the image stabilization.